It has indeed been a while since I’ve posted anything. I have actually been knitting, but not nearly as much as I’d like to be. I have two shawls waiting to be blocked, another one on the needles, a sock that I’ve barely started and as soon as I get my replacement size 6 needle, I’m going to be casting on for Color Affection. The first shawl that is waiting to be blocked is an original design called Flirty. My husband got me a beautiful skein of Madelinetosh Tosh Merino Light in Coquette for Christmas. I had made a little shawlette out of some Noro Silk Garden Sock (surprisingly in the colorway that comes up when you click the link) years ago. I played yardage chicken with it and finished it with only six inches to spare. I always intended to do something with it but I never actually wrote down a pattern. When I opened my Christmas present I knew exactly what I wanted to make with it. Flirty is a wide but short shawl with a ruffled edge, just long enough to tie at your throat to keep your neck warm. I’m planning on getting some blocking done in the beginning of next week so I’ll post pics then. 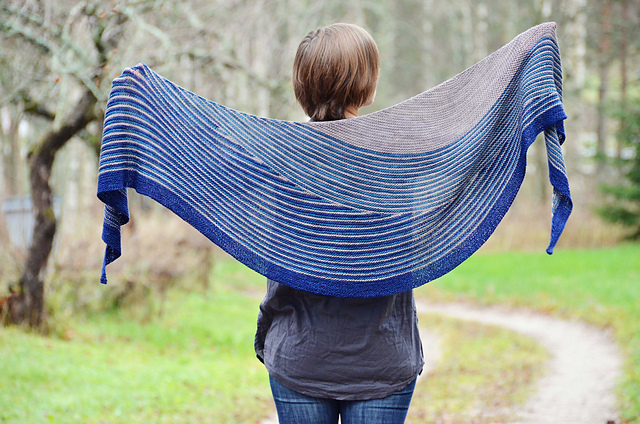 The second shawl I’ve been working on is Follow Your Arrow Mystery Knit-a-long. A Mystery knit-a-long is one where you get individual “clues” or pieces of the pattern and you have no idea how the pattern is actually going to turn out. My knitting board was doing it as a knit-a-long so I decided to jump in. I was worried about making gauge for some reason so I knit it on US Size 5 (4.25mm) needles instead of the recommended US Size 6 (4.5mm) needles. I went to my LYS and found the most wonderful color of Tosh Merino Light, Whiskey Barrel. Here’s an in progress shot. I actually ordered blocking wires which just came this week to block this one since I really want it to come out looking right. 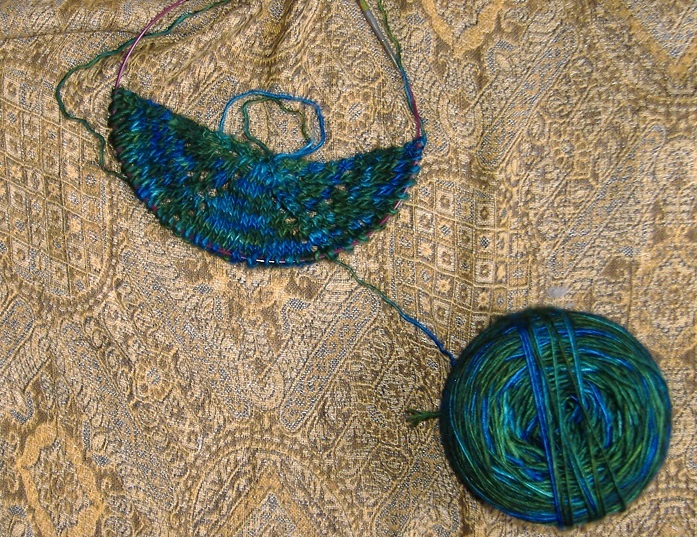 The third shawl which is currently on the needles is the Desolation of Smaug Mystery Knit-a-long. Well, it was The Desolation of Smaug Mystery Knit-a-long. I was getting ready to link the project page on Ravelry and the first thing I noticed is that the price was only $3.00 and I was a bit miffed because I paid $7.00 since the knit-a-long had already started when I jumped in. There’s a lengthy explanation and I don’t know if my original pattern is any good any more. I’m going to have to do some digging on the Ravelry forums to find out what is going on. I bought the new pattern, but I don’t know if I want to do it any more. This is incredibly annoying. Here’s the in-progress shot (and this week’s WIP Wednesday) from the original pattern. I’m going to have to do a lot of thinking about this*(see update below). 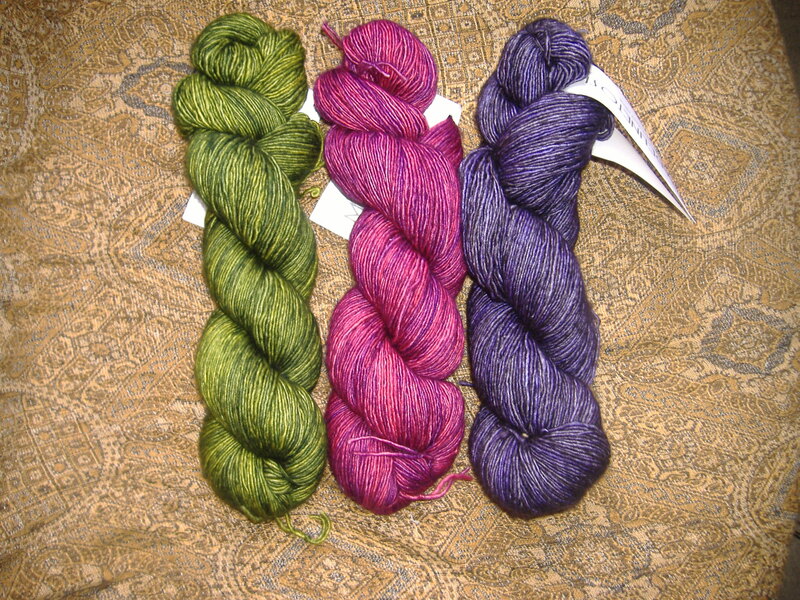 The yarn is Tosh Merino Light in the Envy colorway — my birthday present from my husband. He’s done a great job picking out yarn colors for me this year. 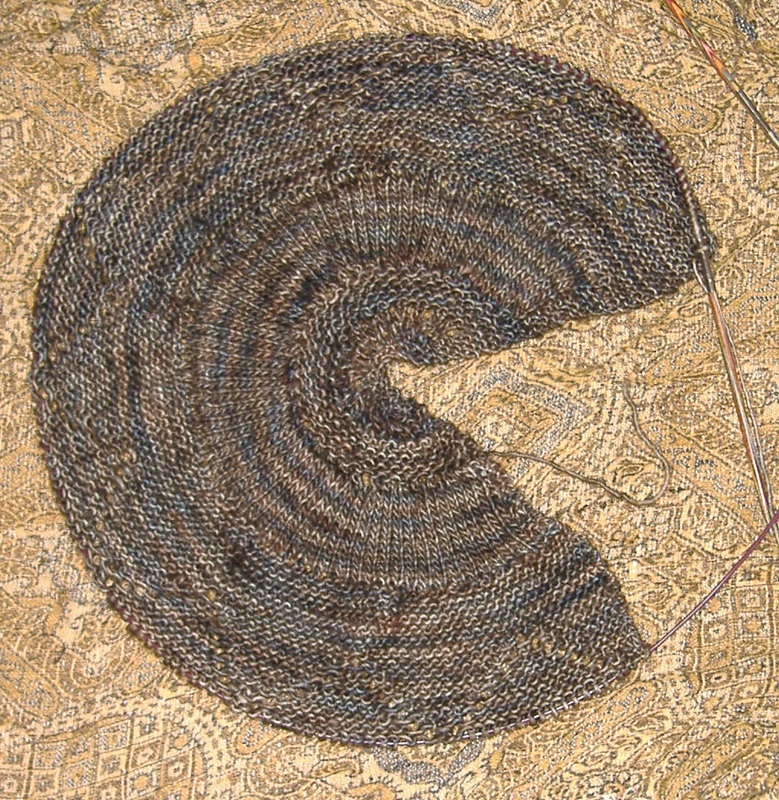 Interesting story about the yarn. I told him I wanted sock yarn for my birthday. He went to one of the LYS’s in the area and asked the clerk to show him some sock yarn. The clerk went on to tell him that sock yarn wasn’t really for socks and steered him towards the Tosh Merino Light. 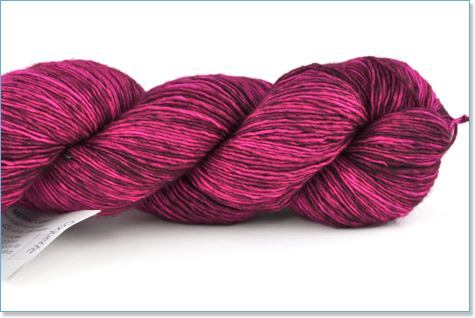 Now, I love Tosh Merino Light, but sock yarn it isn’t. Who ever this person was she has no business working in a yarn store. I’ve told him to go to the other LYS from now on since their staff seems more knowledgeable. There’s the sock, but that’s really waiting room and bus knitting so it’ll get done when it gets done. The next big thing on the agenda is Color Affection. This is my, “I quit smoking for a month.” (it’s now two!) present to myself. I love the colors and as soon as I get my replacement needle for Knit Picks, I’m going to cast on. It’s all done in garter stitch so it’s perfect for doing at night when the kids are in bed and I’m watching TV with my husband. That’s about it for now. I should have two finished objects the beginning of next week so keep an eye out for the next post. TTFN! UPDATE: It turns out there are TWO Desolation of Smaug Mystery Knit-a-longs. Here’s the link to the one I’m doing — The Desolation of Smaug. So now I own both patterns and I don’t have to frog again. I was working up an Elegant Egg when I realized I made a glaring mistake in the pattern. I’ve fixed it and have uploaded a corrected version.